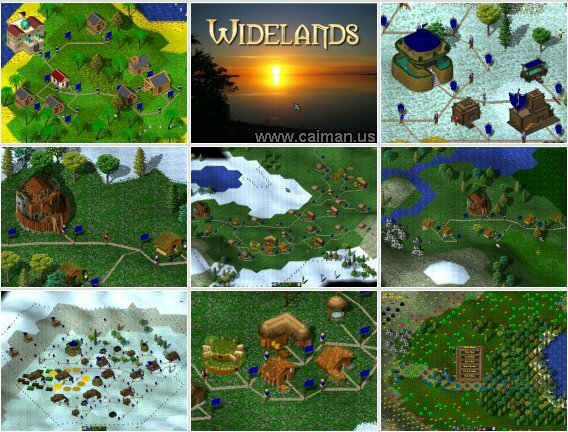 Caiman free games: Widelands by Widelands Development Team. A great RTS + mapeditor, even much better and nicer than Settlers 2 was, for 1 player or multiplayer over LAN or internet. In Widelands, you are the regent of a small tribe. You start out with nothing but your headquarters, a kind of castle in which all your resources are stored. 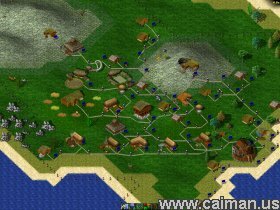 In the course of the game, you will build an ever growing settlement. Every member of your tribe will do his or her part to produce more resources - wood, food, iron, gold and more - to further this growth. But you are not alone in the world, and you will meet other tribes sooner or later. Some of them may be friendly and trade with you. However, if you want to rule the world, you will have to train soldiers and fight. Widelands offers single-player mode with different campaigns; the campaigns all tell storys of tribes or Empires and their struggle in the Widelands universe! However, settling really starts when you unite with friends over the Internet or LAN to build up new empires together - or to crush each other in the dusts of war. Widelands also offers an Artifical Intelligence to challenge you.